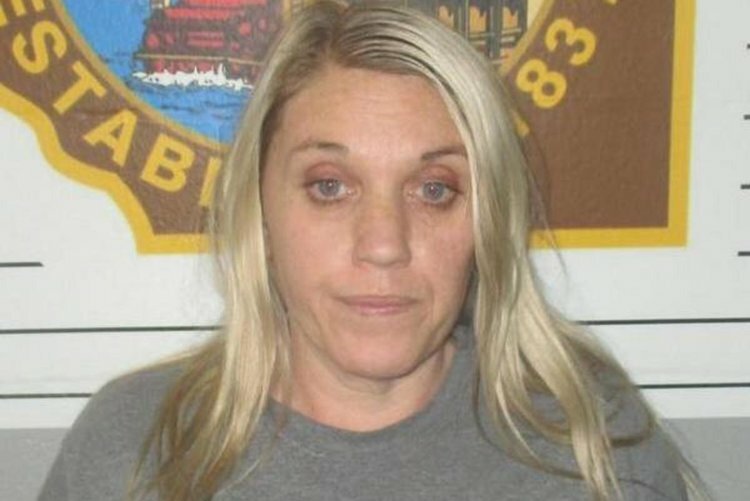 Police allege a Missouri prison nurse, intent on marrying an inmate, poisoned her husband with antifreeze before setting fire to their home in an effort to hide his murder, PEOPLE confirms. She did so, police say, so that she could marry the Jefferson City Correctional Center inmate, KRCG reported. An autopsy determined her husband was poisoned by a chemical in antifreeze and likely died before the blaze started. The State Fire Marshall's Office and the Miller County Sheriff's Department determined that an accelerant was used to start the fire in the master bedroom. After the fire began, Amy Murray took her 11-year-old son and the family dogs to a McDonald's, according to a probable cause statement obtained by KQFX. When she returned, she said the house was already on fire and the heavy smoke prevented her from going inside. However, court documents revealed a McDonald's sandwich found on the kitchen counter inside the home and a McDonald's food bag was in the trash. Claypool is serving a life sentence for murder, according to prison records. In a recorded phone conversation, Murray told the inmate that she no longer wanted to be married to her husband. Claypool and another man pleaded guilty to killing 72-year-old Donald Hardwick, who was attacked in his home on Christmas Day in 2000. Amy Murray has since been charged with first-degree murder and armed criminal action, KSIS reported on February 8. But Claypool and Amy allegedly discussed hiring an attorney to try for an earlier release, according to the probable cause statement. At the time, Murray was working as a nurse at the Jefferson City Correctional Center when she began having a "romantic relationship" with inmate Eugene Claypool, who was convicted in the 2000 stabbing death of a $1.7 million elderly lottery victor. She's scheduled to appear in court on February 13.